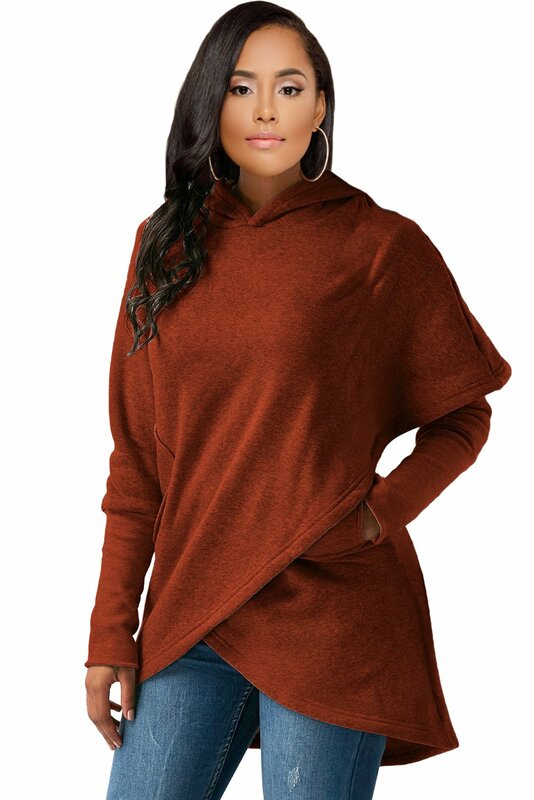 Easy-fitting tulip-front hoodie for women is dual-function, designed to get the latest fashion trend in the simplest style for the most popularity - a great value. Made from comfortable and stylish sweatshirt fabric. This is the perfect fashionable everyday top - layer over undershirts or wear it on its own.